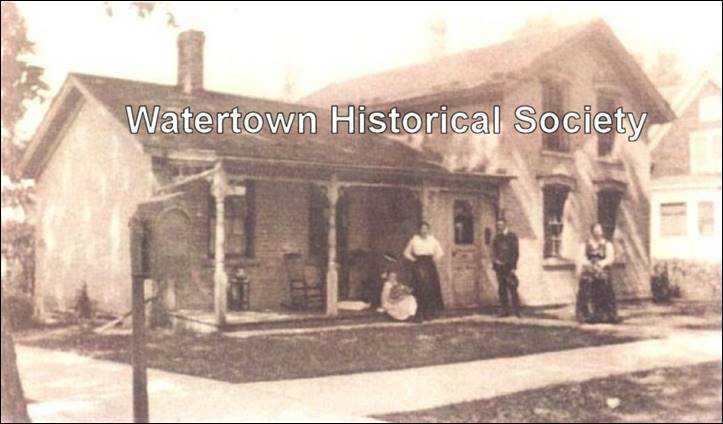 Home of Gottlieb and Wilhelmine Schulz of Watertown. The earliest they might have bought it would have been around the mid 1870s. Frank Schulz the mailman later lived in this house until his death in 1915. The address today is 316 S. 8th Street. Reuben Franklin Schulz, the builder of the Tudor Style home on Richards Avenue, grew up in the Gottlieb and Frank Schulz home on Eighth Street.